Getting caught mislabeling or having incorrect weights on your produce, whether intentionally or by accident, can have huge consequences. For that reason, it is incredibly important to know the laws and regulations that dictate how and what to label, not to mention every Upstart Farmer will encounter the issue of correct labeling and weighing, even if they’re just selling a the local farmers’ market. Proper labeling and weighing allow consumers to identify what your product is and how it compares to competitors. 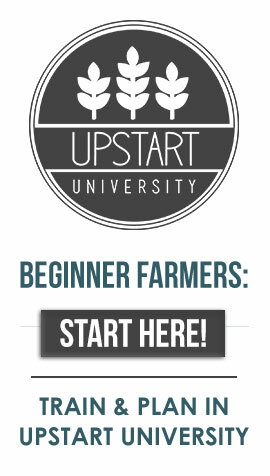 This course is for anyone selling produce, not just Upstart Farmers, that want to avoid getting in trouble for mislabeling a product, the consequences associated with getting caught could ruin an Upstart Farm. This course is taught by Perry Skorcz. *I AM NOT A LAWYER, NOR HAVE I EVER BEEN A LAWYER, AND NOTHING IN THIS COURSE SHOULD BE CONSTRUED AS LEGAL ADVICE.